The red variety comes from Italy, Synonyms are Crovaja, Cruaia, Cruaio, Cruara, Cruvaio, Gruaia, Gruaio and Gruajo. It was already mentioned in the 18th century. Despite seemingly suggestive synonyms or morphological She may not share similarities with the varieties Raboso Piave or Raboso Veronese (Cruaia, Cruaio) are confused. 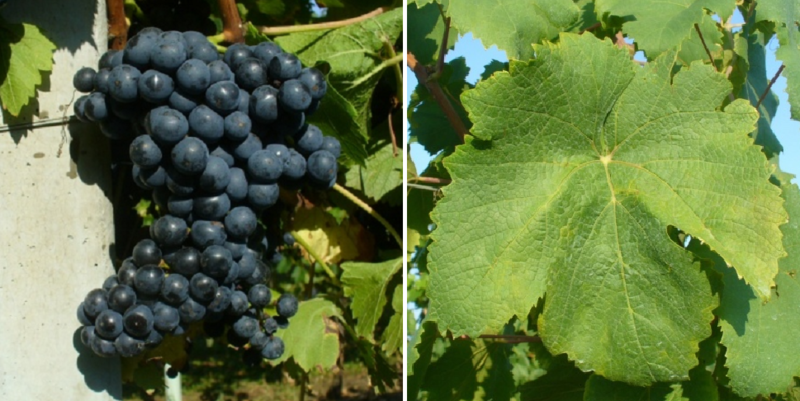 Performed in 2008 DNA analysis showed a close relationship to the variety Negrara Veronese, The medium to late ripening vine needs warm climate. It produces slightly bitter-tasting red wines with wild berry and maraschino cherry flavors. The nearly extinct variety was established in 1992 by initiative of the institute in Conegliano revived and in the province of Vicenza in Veneto newly planted. In 2010, however, no stocks were reported (Kym Anderson ). This page was last modified at 19 July 2018 at 08:36.